…Just like oil, phosphorus cannot be replaced or artificially manufactured. It can only be recycled through the application of organic matter. However, since urban areas started to use flush toilets, phosphorus was no longer returned to the soil, but washed out into water systems. The use of the local organic matter was then replaced by phosphate rock, which has to be mined or drilled out from the deep soil. 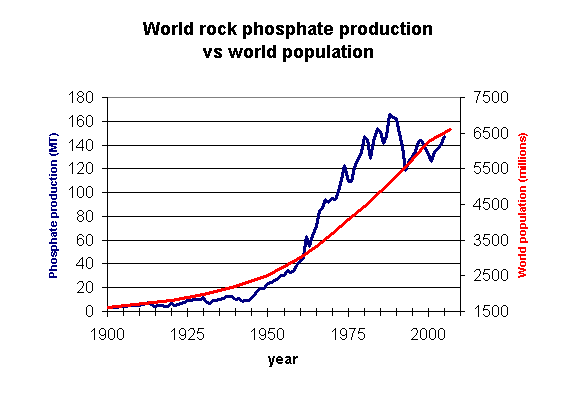 Cheap energy has allowed humans to extract increasingly greater amounts of phosphate rock in order to propel the ‘Green Revolution’ and support the explosion of world population over the last six decades. 8. This means at some critical point, the increasing annual production of phosphate rock will become unviable due to increasing energy, economic and other constraints, while demand will continue to increase.  per capita increased phosphorus demand due to changing dietary preferences towards more meat and dairy products (especially in growing economies like China and India), which require significantly more phosphorus fertilizer per capita.  The need to boost soil fertility in phosphorus-deficient regions. Industry projections of demand are often based on the current market demand, that is, those players with purchasing power. However there is a large ‘silent’ demand from poor farmers with phosphorus-deficient soils that cannot currently access fertilizer markets. In Sub-Saharan Africa for example, where at least 30% of the population is undernourished, fertilizer application rates are extremely low and 75% of agricultural soils are nutrient deficient thus yields are falling. While improvements in efficiency in phosphorus recovery from mining may decrease demand for phosphate rock, it is likely that the factors placing upward pressure on demand would still outweigh these efficiency gains. 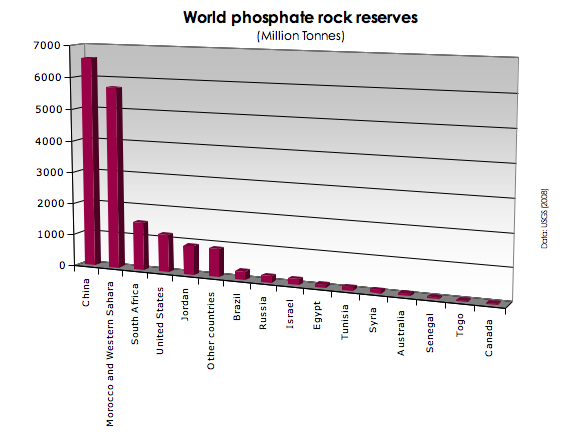 Only a couple of countries hold the majority of phosphate rock. Interestingly, upon joining the World Trade Organization, China’s reported reserves doubled overnight. Like Saudi Arabia’s dubious stated oil reserves, China’s commercial interests and lack of transparency appear to have muddied a true accounting of their phosphate rock reserves. “A radical rethink of how we farm, what we eat and how we deal with human excreta, so that adequate phosphorus levels can be maintained without reliance on mined phosphate, is crucial for ensuring our future food supplies. “Personalised transport (cars) will be largely a thing of the past.” says Professor Rhodes. 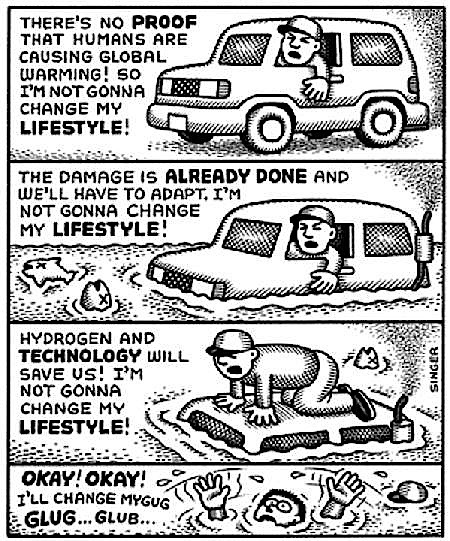 Now if we can just get rid of all the world’s cars and retrofit all the toilets to recycle the global human population’s urea and feces, then maybe we’ll have a chance to survive. Oh yeah, I forgot about that climate change problem. Here is a great presentation by one of the first and foremost proponents of the idea of peak oil and it’s ramifications. Heinberg brings together three gigantic problems facing humanity: diminishing resources, namely oil, skyrocketing global debt, and global warming. He links all three and puts it all in a nutshell that is easy to understand. It is incredible that this stuff is completely ignored, and we are promised the impossible: continuous exponential growth. 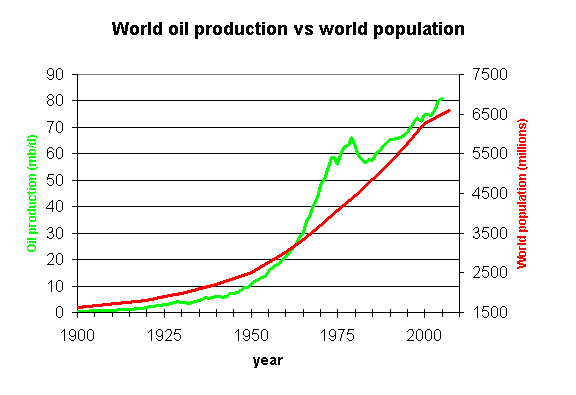 Yes Peak Oil, Peak Phosphorus. Either way mankind is heading for calamity that will make all others combined pale in comparison. It may sound ludicrous but I see a world not too far off where mankind is operating at Medieval or pre-medieval technological levels and a world population of less than 1 Billion. And all the while we burn our books and embrace digital technology and education. All the pre industrial technology of manual mechancis long since forgotten. We could be going back to the stone age. Olduvai gorge here we come. The concept people really seem to have trouble with is the simplest to understand. Our entire civilisation is based on FINITE resources. Maybe we need to explain what “finite” means? Paul F Getty; Good post but imho a common mistake is to assume that the Global Financial Crisis is part of the problem or one of the the problems. It’s more accurate to define it as a symptom of the problem like a sneeze is a symptom of flu. The Debt crisis will never go away simply because unsustainable countries borrow money to buy the resources they don’t have relying on growth that will NEVER materialise to pay off the debt. They don’t even try to pay off the debt anymore. Now they can’t even make the interest payments. Understanding the resources crisis means understanding that it is the only problem. Unfortunately there are no solutions but that doesn’t mean countries cannot prepare to at least survive with a modicum of civilisation intact. Good luck with that one. I agree with you that the financial crisis is a symptom, not a primary cause. Heinberg I think is making the point that our financial system is set up so that it cannot function unless there is constant growth, and we cannot have that anymore because of diminishing resources. Representing the University of Western Australia, we would like to use your materials in our online teaching materials, MOOC. if it’s possible, please send an email to me so I could send you the copyrights permission letter which entails all necessary information as we want to make sure we do not infringe your intellectual properties. 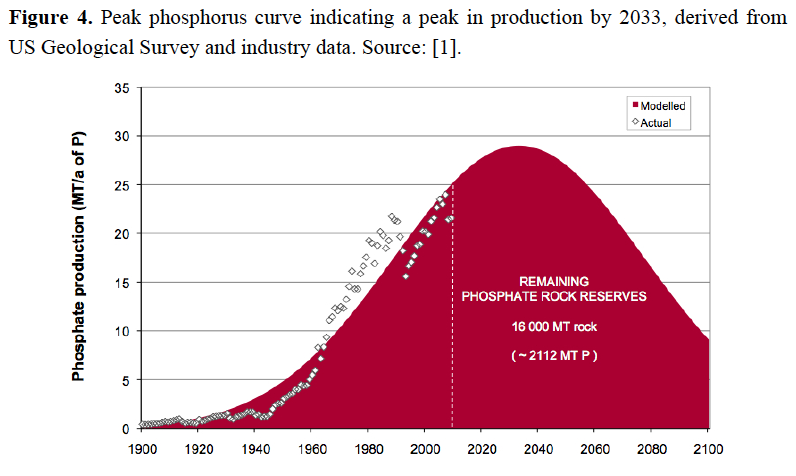 The concept of Peak Phosphorus is also interesting. It assumes depletion of phosphates which are used for the production of fertilizers. Phosphorus is necessary in the production of phosphate fertilizers, which in turn are necessary for agriculture in most countries, and some of them are totally dependent on this type of soil amendment. I also recommend you see the heaps of phosphogypsum(waste byproduct of phosphate production) to realize the enormity of the phenomenon.